Overview: Squadron Leader Veer Pratap Singh (Shahrukh Khan) is a rescue pilot with the Indian Air Force, who risks his own life to save the lives of others. One day, on duty, he comes across a stranded Zaara (Preity Zinta) ... a girl from Pakistan. 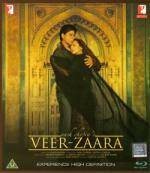 Zaara, a carefree, sprightly girl has come to India to fulfill her surrogate mother's dying wish. She meets with a bus accident leaving her stranded in a foreign land. My Thoughts: As per the overview a love story. A very weepy love story. At its heart an ordinary 'boy meets girl, boy loses girl, boy meets girl again' love story but with some different twists and turns which makes this no ordinary love story. Totally captivating and wonderful. I am really glad you enjoyed. I wasn't so sure with this one, because not everyone likes sappy love stories. Also this one had quite a few songs, which weren't even catchy in my opinion. No problemo. I checked your review afterwards and see that we were both captivated. Overview: Dazzling 50th Anniversary Restoration! Cary Grant is the screen's supreme man-on-the-run in his fourth and final teaming with Master of Suspense Alfred Hitchcock. He plays a Manhattan adman plunged into a realm of spy (James Mason) and counterspy (Eva Marie Saint) and variously abducted, framed for murder, chased, and in a signature set-piece, crop-dusted. He also hangs for dear life from the facial features of Mount Rushmore's Presidents. Savour one of Hollywood's most enjoyable thrillers ever in this State-of-the-Art Restoration: its Renewed Picture Vitality will leave you just as breathless as the chase itself. My Thoughts: OK I guess that Mr. Hitchcock is not to my style. Although I didn't have any high expectations I was still left underwhelmed by this film. I thought the actors came over well but overall the film did nothing for me. Oh dear. There is no hope for you. Wow, while I too, have a hard time with a lot of Hitchcock's films, this one has always been one of the exceptions. This is one of my favorites. The same thing I say every time you post a Tarantino film review. I've still got 13 other Hitchcock's in that Universal box set to see. There may one I like in that. 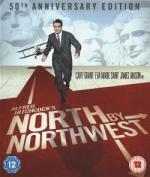 Only 2 stars for North by Northwest?? Overview: Join the undisputed King of Action Comedyfor a madcap action-packed journey across ancient China. In the aftermath of a great battle between rival kingdoms, only two men remain standing! One is a peasant soldier with a shameless ability for avoiding his responsibilities in battle (Jackie Chan); the other is a warrior prince, who has been wounded fighting for his country (Leehom Wang). Irresistibly tempted by the chance to collect a large reward, the peasant overpowers the disadvantaged prince and sets off to collect his bounty. When danger confronts them around every corner, the world's two most unlikely allies quickly realise they will need to join forces if they are to make it home in one piece! As each challenge takes them closer to victory, a prince will learn humility and a nobody will find the strength to be someone great. 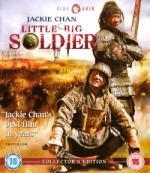 Based on an original story created by Jackie Chan himself, Little Big Soldier is a irresistible, pulse-pounding deluge of side-splitting comedy, stunts and kinetic martial arts action that is guaranteed to enthrall and entertain from start to finish! My Thoughts: Very much still the usual Jackie Chan fare of martial arts action and comedy. On top of this though Mr. Chan is bringing a dramatic edge to the proceedings. I think the two parts did mix but it wasn't fully cohesive in places as if he had to rein in his action for the drama. There was the usual bloopers during the end credits. Seems like you enjoyed it more than I did ("Little Big Soldier"). Yep Tom, I look for for reviews after I have written mine and I saw that you were quite bored by it. And by the same margin I did see your review for NbNW and also that we weren't the only people not to fall under its spell, Rich also marked it low. Anyway... Little Big Soldier sounds pitched just where I thought. I'll look it up, thanks, Dave.